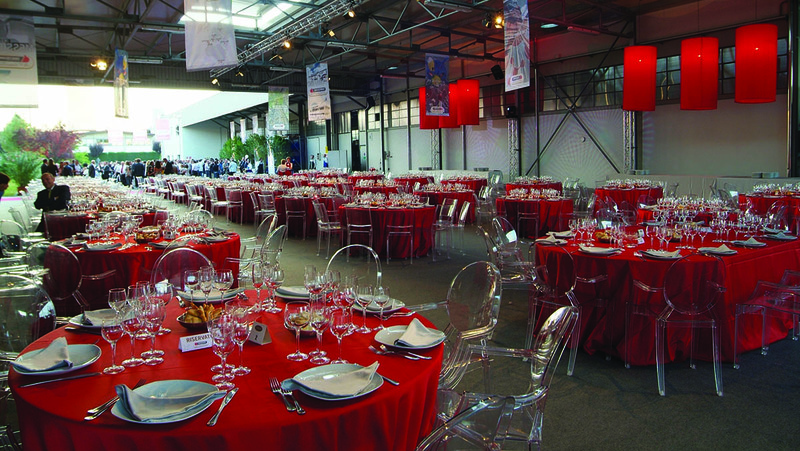 2007 marked the 30th Anniversary of the founding of Smaltochimica, the event was celebrated with an elegant dinner in the company’s Italian Headquarters. Since its foundation in 1977 Smaltochimica has been a leader in the development and research of chemicals for the ceramic industry creating numerous innovative products and solutions. Their 30th Anniversary in 2007 occured 2 years after a major acquisition in 2005 of Euromeccanica, greatly increasing their production capabilities with 80 additional manufacturing plants. 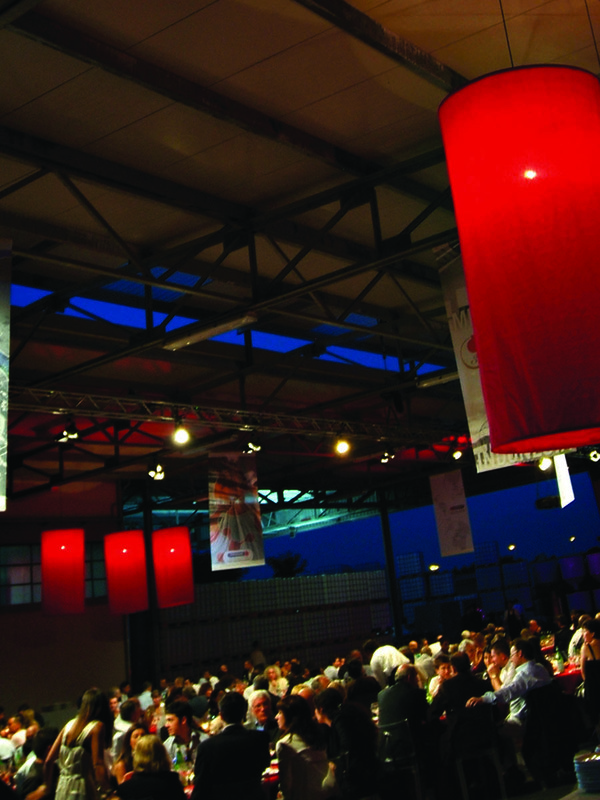 This event aimed to put the focus on their Corporate Headquarters in Fiorano Modenese in Emilia Romagna, Italy. 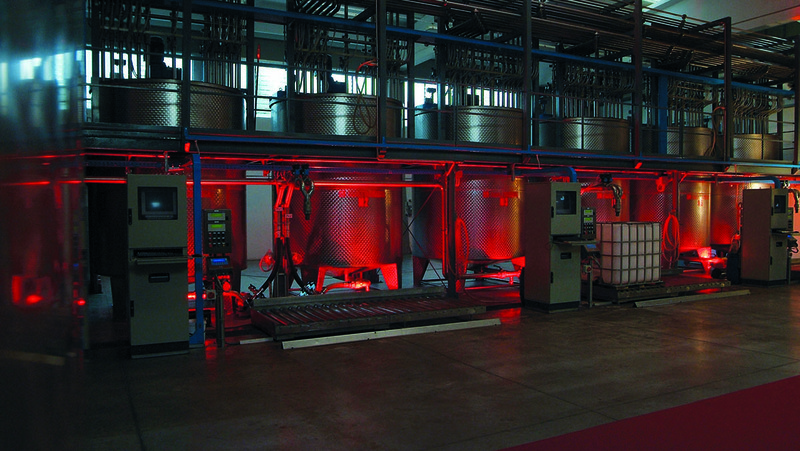 The site of their original plant and also an important meeting point between research, development and quality control for all of their international activities. 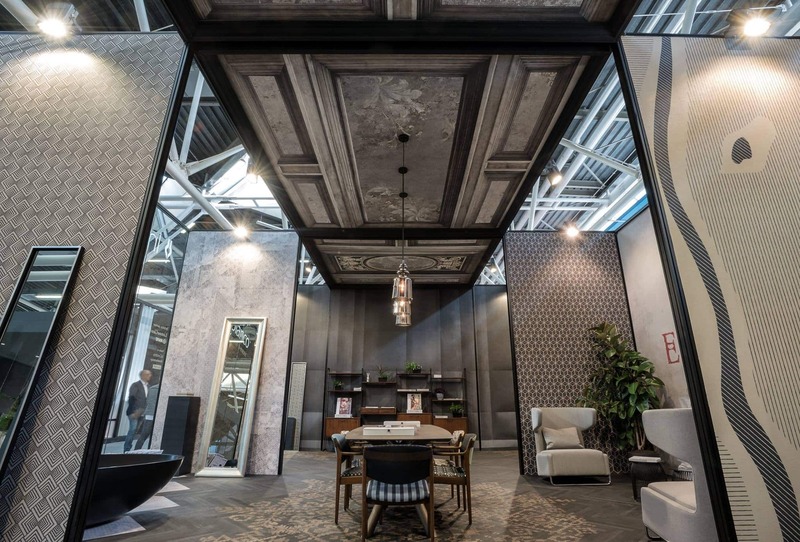 The event highlighted the factory in a completely new way, creating an environment similar to a luxury cultural space with the interior of the factory transformed into a dining hall complete with custom light fixtures, light displays, custom cloth banners and personalized decor elements. Staff, clients, executives, suppliers and prospects arrived at the factory of Smaltochimica in Fiorano Modenese, Italy in the evening. Unlike their usual arrival for work in the early morning, this time they came to celebrate the 30th Anniversary of the company and they were greated with a suggestive surrounding including a red carpet entrace, custom light fixtures and banners announcing the event. 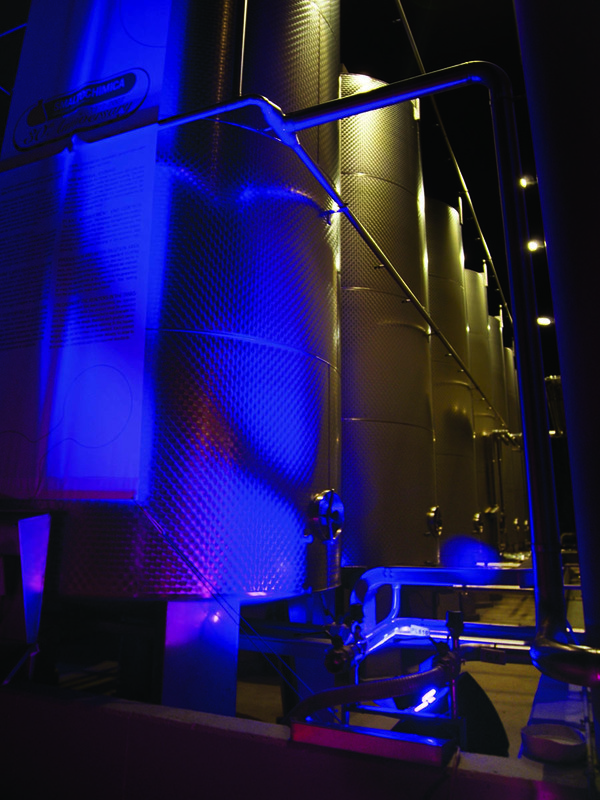 What followed was an evening tour of the factory transformed with light displays and descriptive panels explaining the many activities and innovations that the spaces have played host to over the years. Guests then took their seats and were treated to a commemorative video, welcome speeches and a served, sit-down dinner prepared by on-site gourmet caterers. The evening concluded with a dessert, open bar reception and client gift. 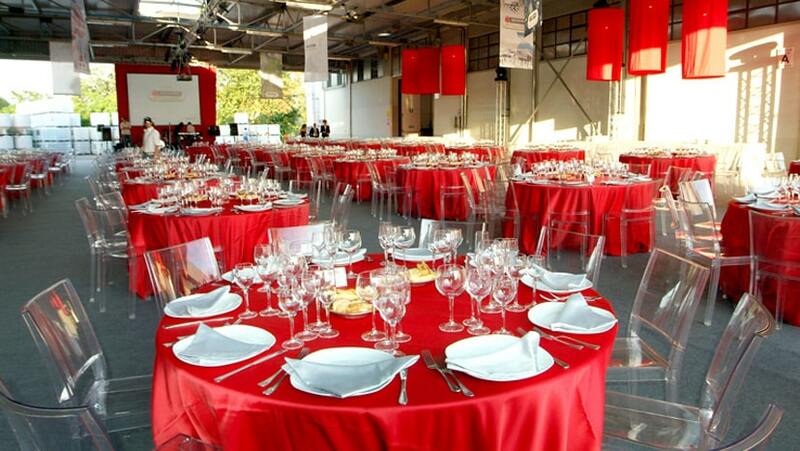 It is a huge responsibility to create execute a pefect event that will commemorate a moment in a company’s history. With all staff, clients and prospects involved it is imperative that the night be a success. Decor: Custom fabric light fixtures as well as custom mould injected light fixtures created for the evening. 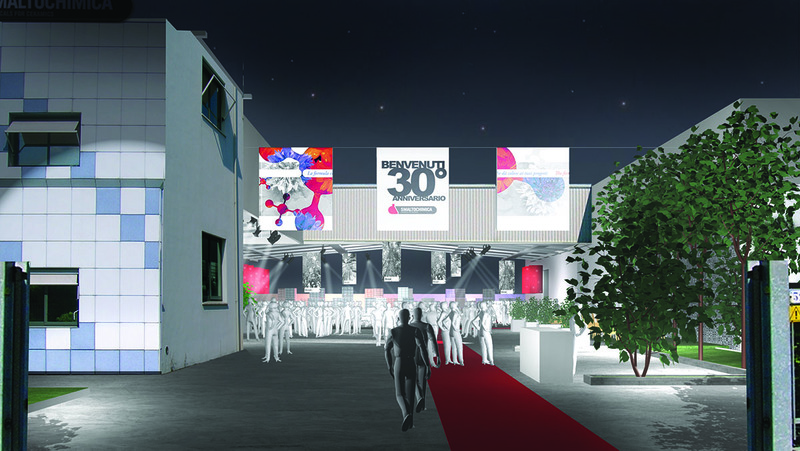 Exhibition & Print Materials: All banners, flags, display boards and signage were designed and printed by Genius Progetti to create a full immersion exhibition for the facory tour. Video Creation: Creation of commemorative video with montage of historic moments aligned with the company’s 3 decades of business. 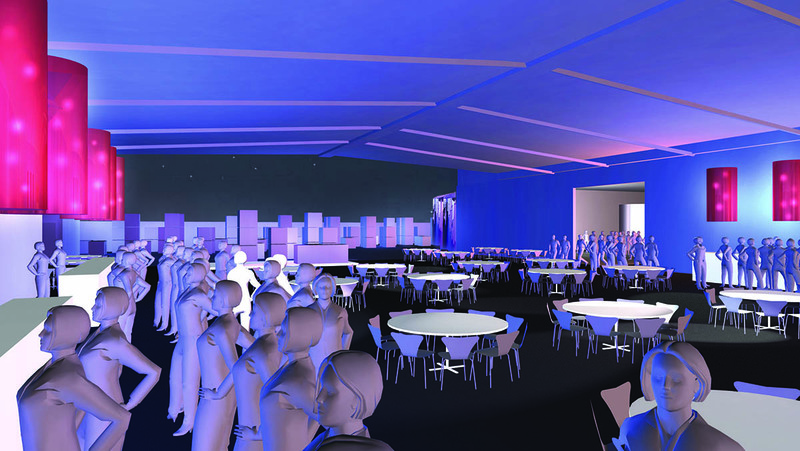 Environment Transformation: Creation of ballroom dining space complete with custom carpeting, furniture and other elements such as red carpet and full American rigging lighting system. 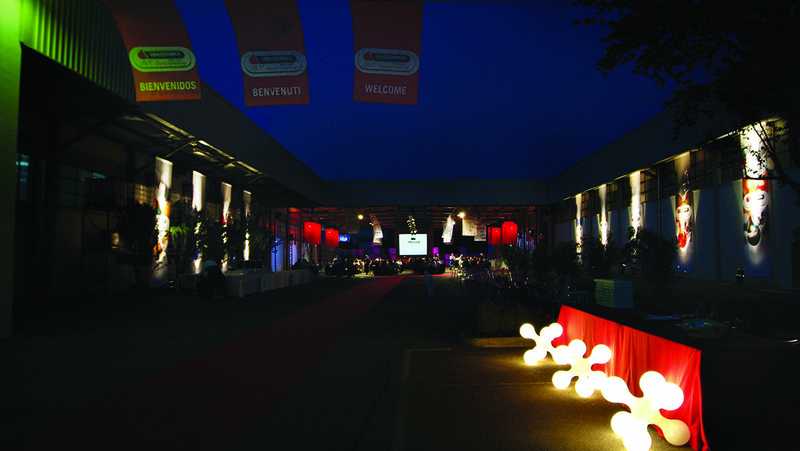 The industrial aspect of the Fiorano Factory was enhanced to create a suggestive backdrop to a gala dinner. Lighting, wall and ceiling coverings, custom light fixtures and custom decor elements were all created as part of the project proposal. The client approved the concept, design, layout and all event branding elements and the actual set-up was identical to the event project presented. Our build and construction staff can create your furniture elements with precision and perfection in any situation.